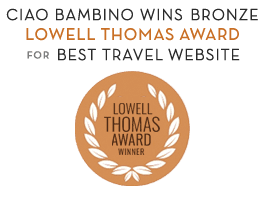 Family-Friendly Tour Guides - Ciao Bambino! Should you invest in family guided tours on your next vacation? Absolutely! At Ciao Bambino!, we often recommend using a vetted guide to enhance sightseeing and to get the lay of the land in a way that’s designed just for your family. The right kids’ tours and guides know how to captivate children of every age with little-known details, fun facts, and compelling storytelling. And experienced, family-friendly guides especially shine in big cities and major museums that can be overwhelming to tackle on your own, or ruins and historic sites that are best brought to life in a vivid way that appeals to young imaginations. We partner with hand-selected kid-friendly guides in destinations around the world, all whom we can book for clients via our custom trip planning and family guided tours service. And to ensure the validity and value of our family tour guides, we rely on our most important source of intel: parents! The families we work with are quick to share their feedback on great (or not-so-great) guides with whom they’ve engaged. We use that up-to-the-minute information to ensure that any guide we recommend offers families an experience that’s memorable and enriching. CB! recommended guides have worked with kids of all ages, from toddlers to teens. They understand the approach that each age group responds to, and know how to tell a story in a way that’s on every kid’s level. From head-scratcher questions to unplanned snack breaks to the occasional meltdown, family guided tours (and the kids on them) are unpredictable! Skilled CB! guides take everything in stride … they’re patient and unflappable in the face of family needs. No cookie-cutter commentary here — our guides may follow a script but they are also adept at tailoring information for your family based on where you are and what excites you. The fact is, not every second of every trip is nonstop excitement — there are times when kids (and even adults) simply lose interest. When that happens, our flexible guides can and will change their approach accordingly. A core part of Ciao Bambino’s Family Vacation Planning service is matching families with the right kid-friendly guide. We help our clients determine what’s important to see and the length of time to spend with a guide; what we recommend varies based on the destination, family interests and the ages of the children. In other words, what we recommend is completely unique to your family and your needs! Want to learn more about our comprehensive family guided tours and how our vacation planning service works? Connect with us!